Christmas is right around the corner! I’m excited & I know you are too! At this moment you’re probably writing up your Christmas wishlist and deciding what to get your loved ones. But, are you finding it difficult to choose a gift for Mom? Don’t sweat it! This guide is here to give you great ideas on what to get your Mom this Christmas that she will be sure to love! We all know how hard our Moms work & how tired they can get. Why not give her a day off to pamper herself & just relax? Contact your local spa and set up an appointment and give Mom the celeb treatment this Christmas. Many spas will offer different packages so choose the one that suits your Mom best. No Mom will resist facials, manis & pedis, & massages! Here’s where you can never go wrong! Moms love jewelry, and with choices like silver, gold, and even pearl, you’ll definitely be sure to cop something she’ll like. Decide whether you want to get her a pair of earrings, a necklace, ring, watch, bracelet, or even a whole set. How about something personalized too? Get her name engraved on a necklace or bracelet. Makes it even more special. Something simple like a ‘Mom’ bracelet like the one below is a great option too! This is an affordable gift idea. The number of fragrances on the market are so wide, you’ll never run out of options. Be sure to know the scents your mom likes so you can select the best one! If you’re unsure of this, you can always buy a fragrance she normally uses or may have run out of recently. Does your mom like reading? Well get her a novel from her favourite author. Is she into trying out new recipes? Then get her a great recipe book so she can cook up a storm. You can also give her a gift card so she can go to her favourite bookstore and buy the books she wants herself. Moms love flowers. A great Christmas gift idea is a bouquet of her favourite flowers. 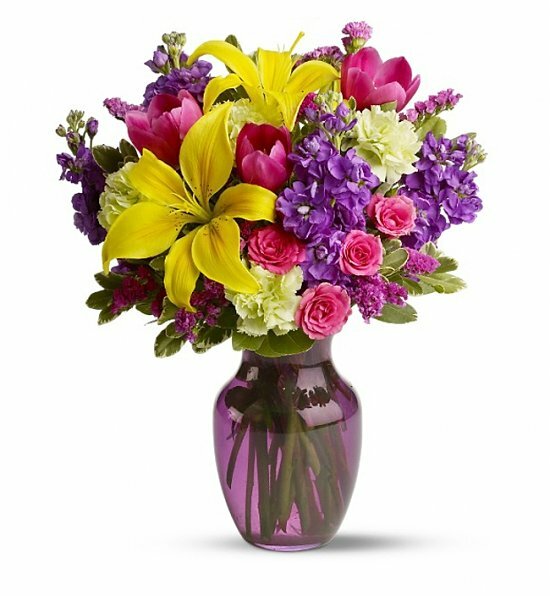 Have a local florist design a beautiful arrangement for you. Potted flowering plants are great also! Now who doesn’t love chocolate? And with the exceptionally great news that chocolate has anti-oxidant properties, gives Mom every reason to indulge in her favourite treat! Do you have a tech-savvy mom? Keep her updated with a brand new IPAD. It’s easier to carry around than a laptop. Your Mom can surf the web, check her emails, watch movies, and even read books! Hand Candy from Style Shoppe !